What is the craziest idea you’ve ever come up with for a meatball recipe? What about Nachos? I’ve just come up with one of the best Nachos meals ever. Never in my life have I thought to mix the ingredients I did for this recipe. The reasons I came up with Nachos for dinner today is I had one-fourth of a two-pound Velveeta cheese block left and I wanted to make a slow cooker meal with it. The cheese sauce for the Nachos was cooked in the slow cooker, and two sides, Southwestern Corn and beans, were prepared on the stove. 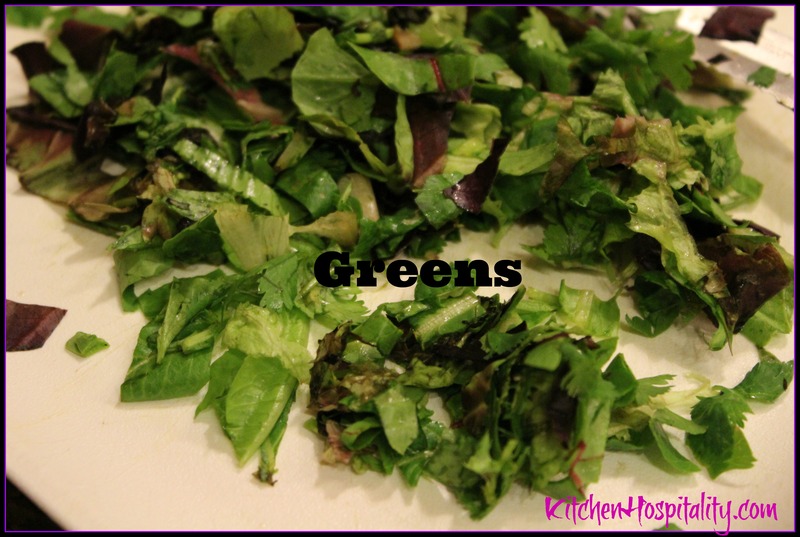 This time, however, I didn’t forget the greens. If you’ve followed my 30 days of slow cooker recipes this month, you’ll recall how I forgot the salad in the frig. 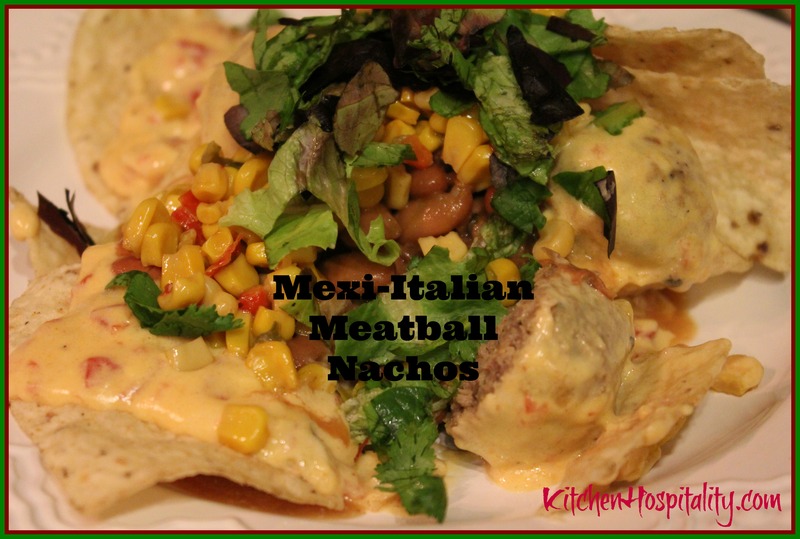 Slow Cooker Mexi-Italian Meatball Nachos takes 2-4 hours. 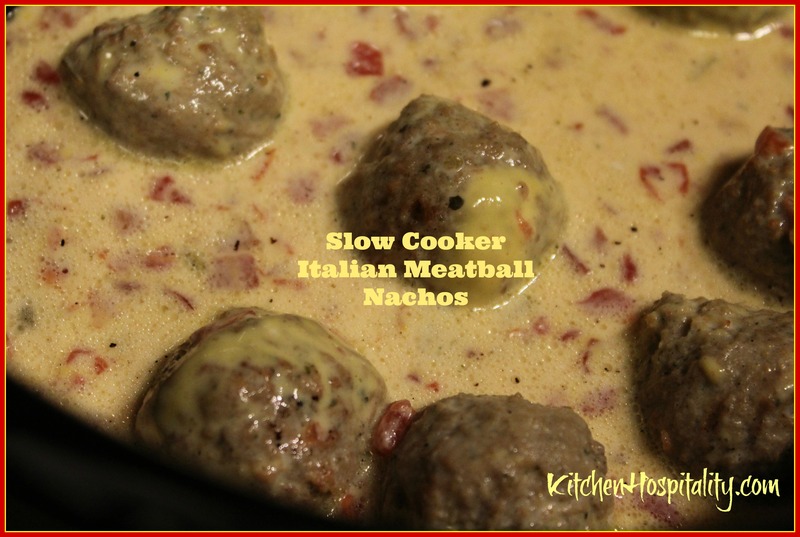 The recipe can be adapted easily for 8-10 hours if the meatballs are made from scratch. If you make your own meatballs, however, preparation time will be longer. Therefore, I would suggest to prepare them the night before so they’ll be ready to put into the slow cooker first thing the next morning. When I decided on Nachos for dinner today, I wished for some ground beef but didn’t have any on hand. But I did find a package of Italian Meatballs in the freezer. I pondered on the combination of the meatballs and the other ingredients I had planned. Could they, perhaps, work? I went back and forth from “maybe” to “not sure” then decided it was worth trying a Mexi-Italian Nachos style. It was definitely worth it. The recipe is a keeper. Spray the sides and bottom of the slow cooker with the Pam cooking spray. Choose the amount of meatballs you need and place them in the slow cooker. Add the milk and chilies. Cut the Velveeta cheese into small cubes and put into the slow cooker. Cook on low for 2 hours (or for 4 hours on "Simmer" or "Buffet" for 4 hours if you have those options on your slow cooker). Serve with your choice of toppings over tortilla chips. Charro Beans – If you can’t find these at your supermarket, combine pinto beans with onion powder, garlic, jalapenos, tomatoes, tomato juice, salt, sugar, and chicken broth. 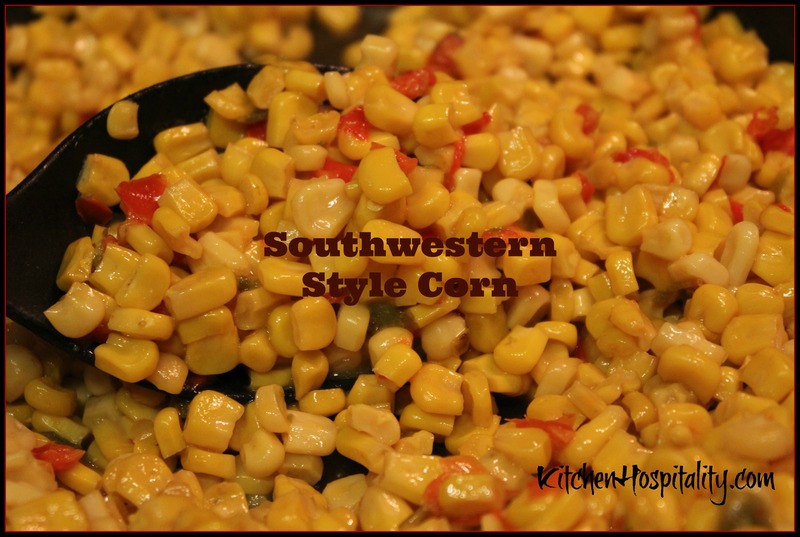 This is pretty easy to find at any grocery stores, but you can mix corn, red peppers, and green peppers. You can either pour the meatball sauce over the chips and serve the corn and beans separately on the side, or serve corn, beans, greens, and meatball sauce as toppings like I did. Do you have a recipe and instructions for making charro beans in the crockpot? Yes, I do but haven’t posted the recipe on my blog yet. I’ll try to get that post scheduled right away. This recipe sounds delicious. I believe that the cheesy sauce and meatballs would be good on top of some pasta too. Sort of a mexitalian style spaghetti and meatballs. Thank you. It is so delicious. Yes, your pasta idea definitely would be good.